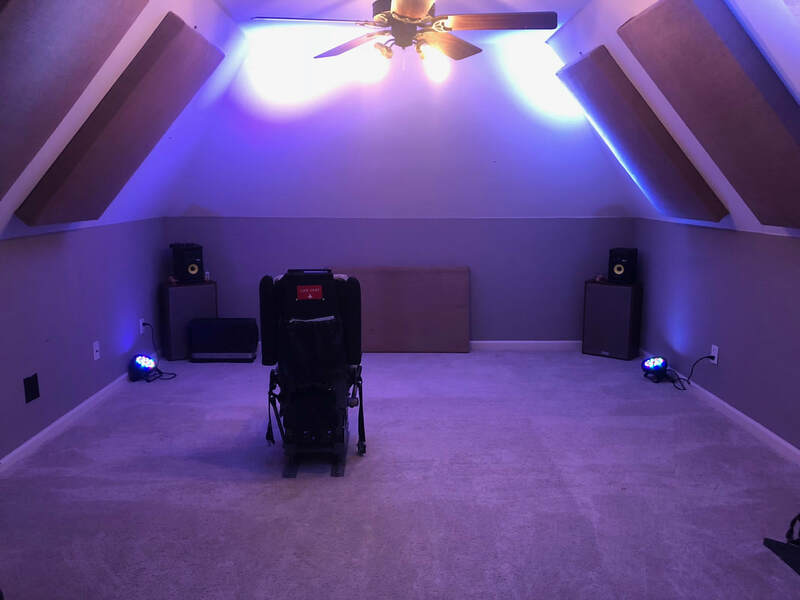 The new sim room. It will be a tight fit! I was bitten by the flight sim bug early in life. 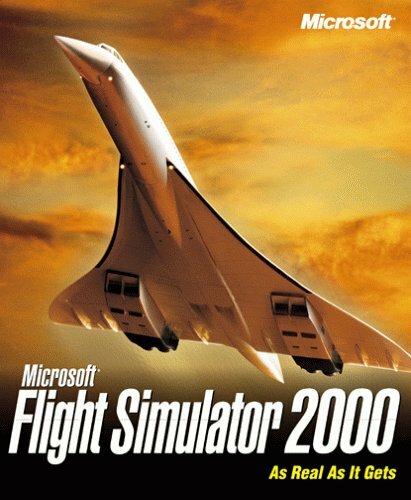 My first copy was Flight Simulator 2000 at the age of 7. While I likely did a lot more stalling than flying, I was hooked. As I grew older, my interest grew respectively. As a high school student, I was exploring every possibility to make my desktop flight sim setup more immersive and complex. I came to the conclusion that the next step for me was to build a cockpit enclosure of some kind. With the help of a couple high school friends, we drew up some initial plans for a generic "sim pit" that would roughly resemble a 727/737 cockpit. I was very fortunate to have a mother who was a 35 year employee at Fedex. 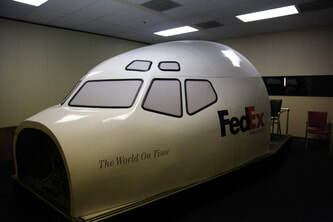 With that connection, we were able to arrange a tour of the FedEx simulator facility here in Memphis. This is where the story gets good. 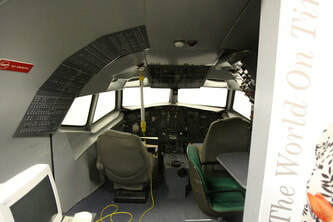 The purpose of the visit was to spend some time in one of the company's 727-200 level D sims - taking measurements of every nook and cranny of the cockpit. These measurements were to serve us in building our generic sim pit. Of course, I had explained everything to our sim tour guide that I have just explained to you. As we were sitting in the level D sim, a light bulb went off in his head. 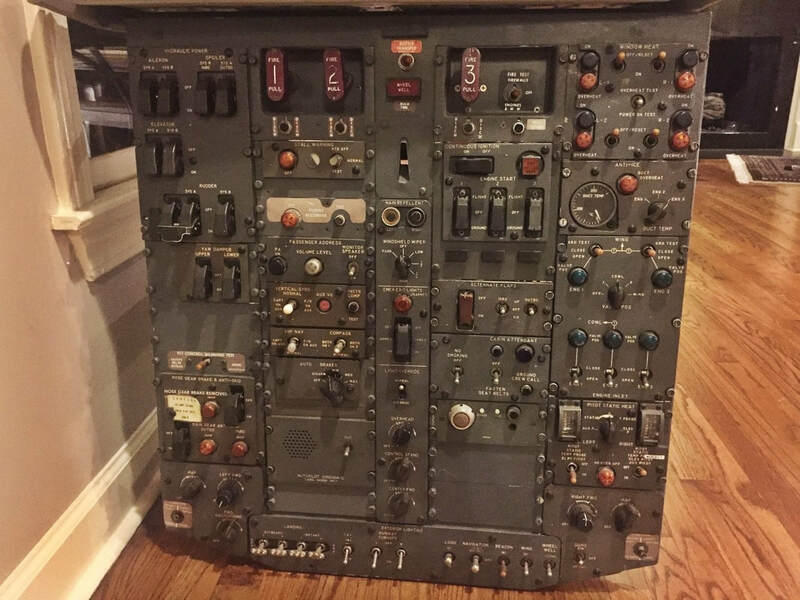 He said to us - "Guys, if y'all are serious about building a 727 sim, I think I have something that you are going to want to see." He led us down a hallway with a couple burned out fluorescent bulbs, and we turned to a door with dust on the knob. Creaking it open, inside the room sat a Boeing 727-100 Cockpit Procedures Trainer (CPT). He turned to us and said "I can't make you a guarantee yet, but I'll talk to the boss, and I bet you guys can have this thing. You would be doing us a favor if you could dismantle it and get it out the door for us. No one comes in here to use this box anymore." It was most likely originally delivered to American Airlines sometime in the late 70's. The shell is all fiberglass and appears to be a one-off construction. The CPT had little to no actual functionality. All gauges were faux and the windows were opaque. 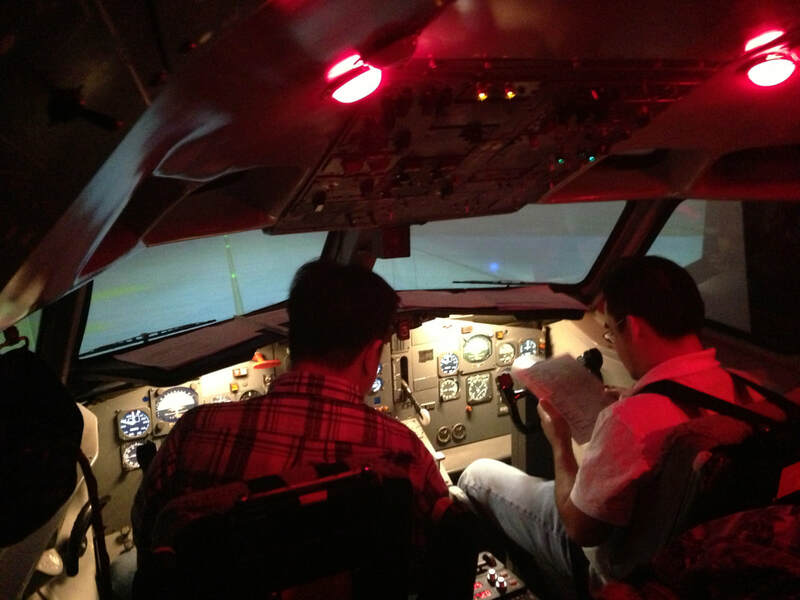 The trainer was mostly used by new hire flight engineers to learn flows. As we began to piece the sim back together, the goal was to get it flyable as soon as possible. We built a three projector setup using very basic 4:3 projectors and flat screens. This worked quite well for some time. For the MIP, I used the CPT original panels and fitted LCD screens behind them to display virtual gauges. This also worked pretty well, but certainly left something to be desired in terms of realism. The overhead was interfaced to FSX using FDS InterfaceIT cards. This was a good solution since no avionics suite was available for the 727 in FSX. The F/E station was left alone since again, the software logic did not exist to interface it anyway. Alas, the 727 was back in my hands for recreation use as it was originally intended. 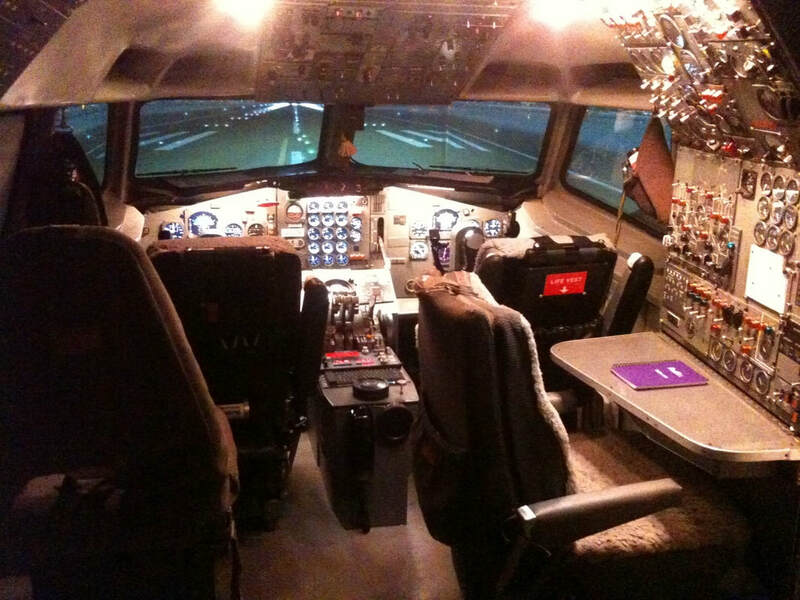 But a lot changed in my personal life while the sim was domiciled at the flight school. I got married and moved into my own house. For a certain period, I couldn't come up with a place to put the sim. The only room in my house where it would possibly fit was a upstairs room with a vaulted ceiling. Every time I looked at the room, I convinced myself that the sim, and better yet a visual system, would not fit. Setting up the sim at a different location was really not an option to me. I knew that the next time I built the sim, I would really take my time and make improvements I always dreamed of. With that said, I knew that if the sim was away from home (perhaps a hangar, for example) that I would struggle to find the time to make special trips out to work on it. For this project to succeed again, it had to be at home. Now here we are - phase 2 (perhaps 3) of the 727 project and I have high hopes for it to be better than ever. The current plan is to run the sim on X-Plane 11 with the FlyJSim 727 v3. This time around, the priority is to get as much functionality out of the systems as possible. I believe the sky is the limit! With this new phase comes a new name. I have donned "The Boeing 727 Legacy Project" as the new fitting title. I believe this encompasses the current goals of the project. 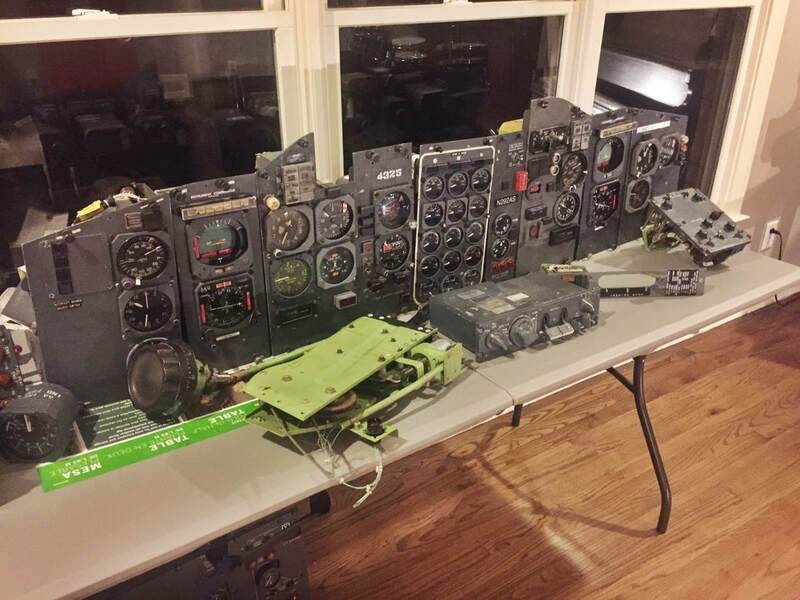 The simulator today is formed of parts from numerous 727s. Every single one of these parts has travelled millions of miles around the world and could tell some amazing stories. Since the conception of the project in 2010, 727s are virtually no longer in service in the USA. 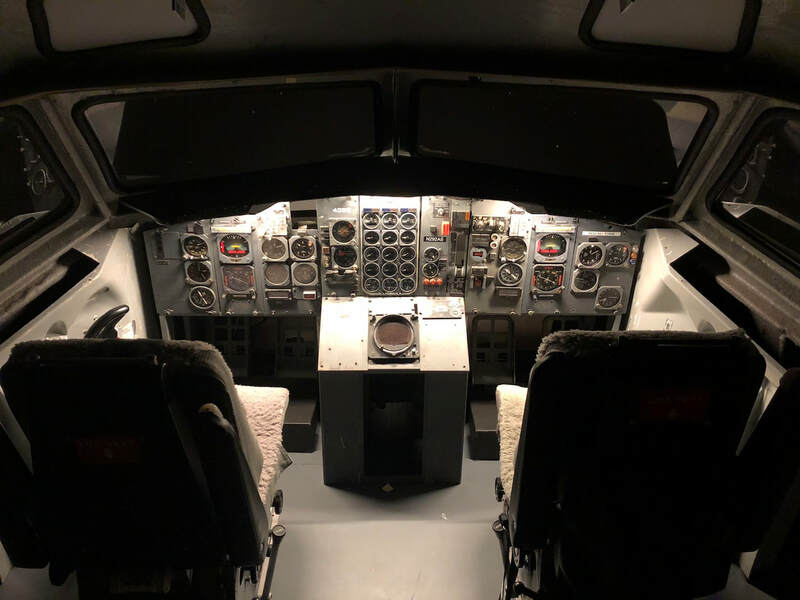 The goal of the simulator project now goes beyond building and flying a sim, it is now a vessel of history that will keep the legacy of the 727 alive and survive the glory of the jet age.